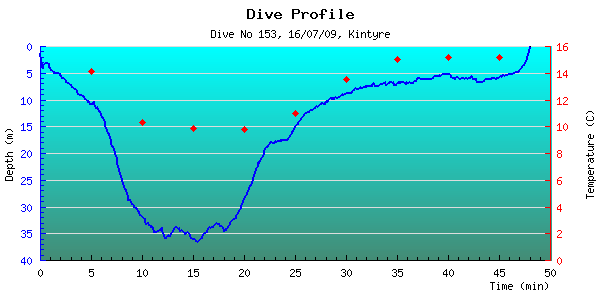 Description: Shore dive from Weymss Bay. Surface swam out and dropped onto the pipe. Followed the pipe to 27m where the rope leads off the pipe to the wreck. On the way to the wreck I spotted a cuttlefish but couldn't take long to admire it.